For Mother's Day Mickey told his mom he would set up a family photo shoot with a friend of ours. It finally happened today. Everyone was home. The weather couldn't have been better. 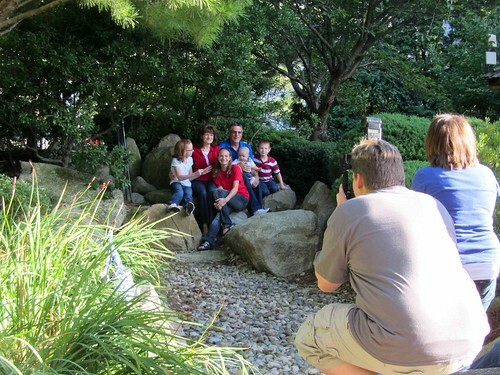 We all met up at the Japanese Garden I took the kids to for their photo shoot. This was my shot of behind the scenes. We all behaved so we stopped at Bonnie Doon's for some ice cream. Yum.